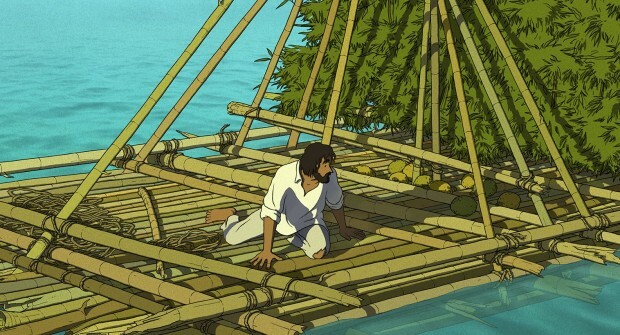 Images from The Red Turtle have made their way online ahead of its premiere screening at this year's Cannes Film Festival (and later screening at Annecy). 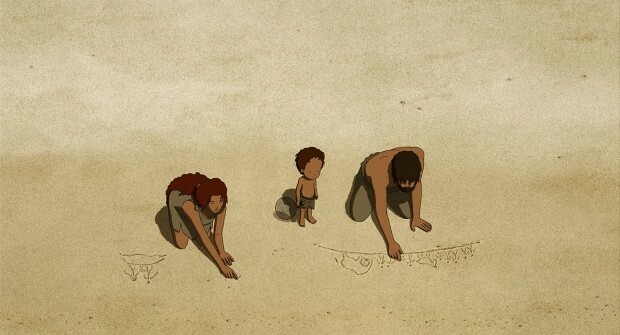 The debut feature from Michael Dudok de Wit is attracting a lot of attention because it marks the very first international co-production with the legendary Studio Ghibli. 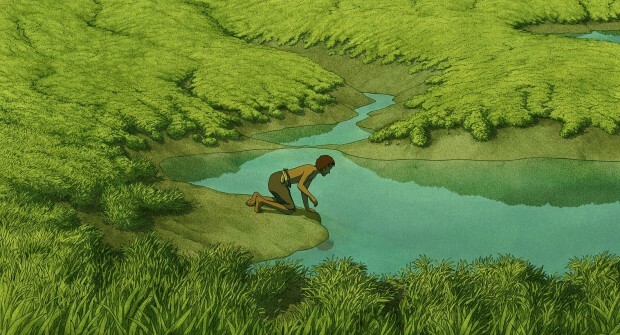 Not only that, but Only Yesterday director Isao Takahata was on board as a creative producer on the film. 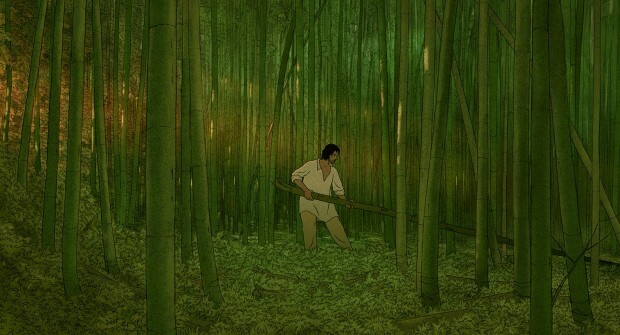 We've yet to see a trailer- and the only footage yet seen was a tiny glimpse of the film in motion on a French TV show, but the new images come via a release of stills from multiple films set to play at the festival. And it would be fair to say that this film is going to be drop-dead gorgeous. 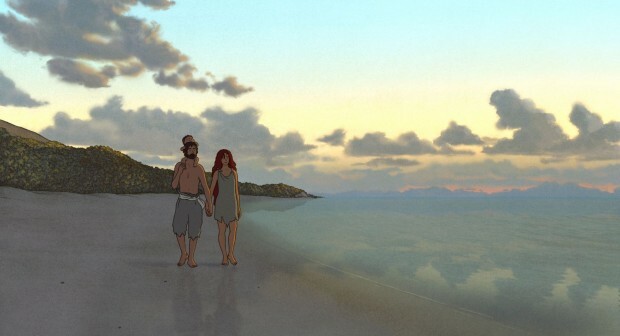 Which probably won't come as much of a surprise to any longtime Ghibli fan. This looks like it would comfortably fit alongside any of the Japanese Studio's oeuvre, but naturally, has a more European style. The planning was carried out at Studio Ghibli itself, with assistance from Takahata and others, but the animation was done in France. This is sure to create a unique and fascinating combination, that we can't wait to see. 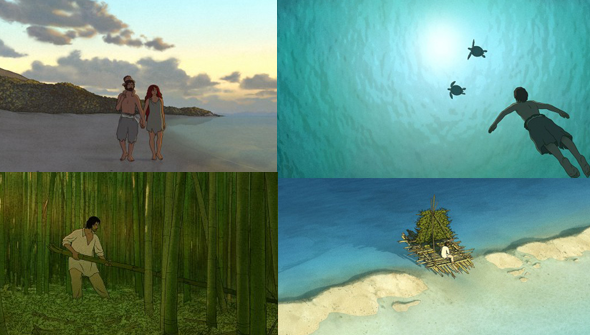 The film promises lush tropical environments that are showcased beautifully here. Watching this might just prove to be the next best thing to going on holiday. 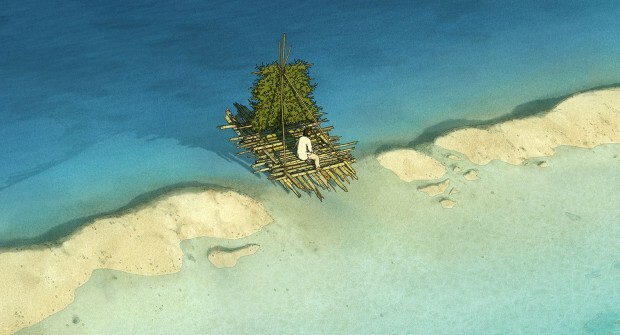 The plot is said to centre on a man trying to escape a tropical island. Interestingly, this is the first time we've seen more than one human character- suggesting that these scenes are most likely from before the disaster- whatever it may be- that sees him stranded. We're guessing that there's more to this than just an animated spin on Castaway, but we'll have to wait and see just what. 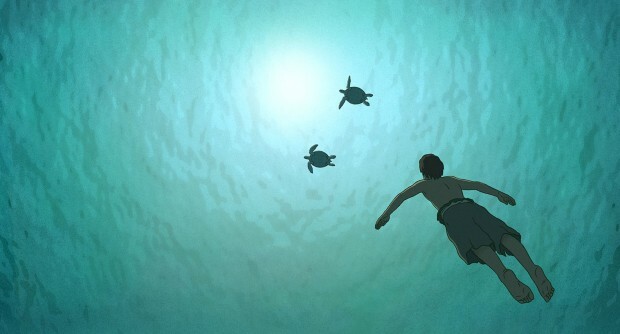 The Red Turtle will premiere at Cannes, and will be released in Japan this September. Releases elsewhere have not been announced just yet- but if it is well received expect this to change soon. Check out the stills below.